I just added this bench press variation into my workout routine: the Neck Press If you're like me who constantly has a tight chest, you will FEEL this exercise - and feel it quickly. This is not an ego boosting, heavy-as-you-can-go movement: GO LIGHT to start. Trust me, you'll feel it. 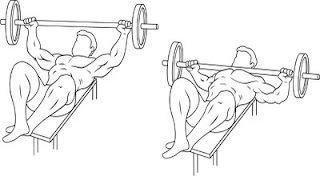 I use this exercise before I do my regular sets of bench presses. Now tell me you don't feel that? You won't be able to lift the same weight after the Neck Press x Pushups, but still try to safely lift heavy sets to finish the workout. Keep your rest times short as you can.